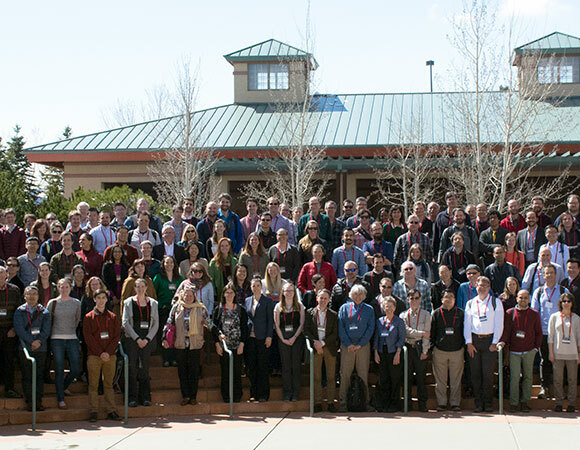 The 2018 UNAVCO Community Science Workshop was held 27-29 March 2018 in Broomfield, Colorado. 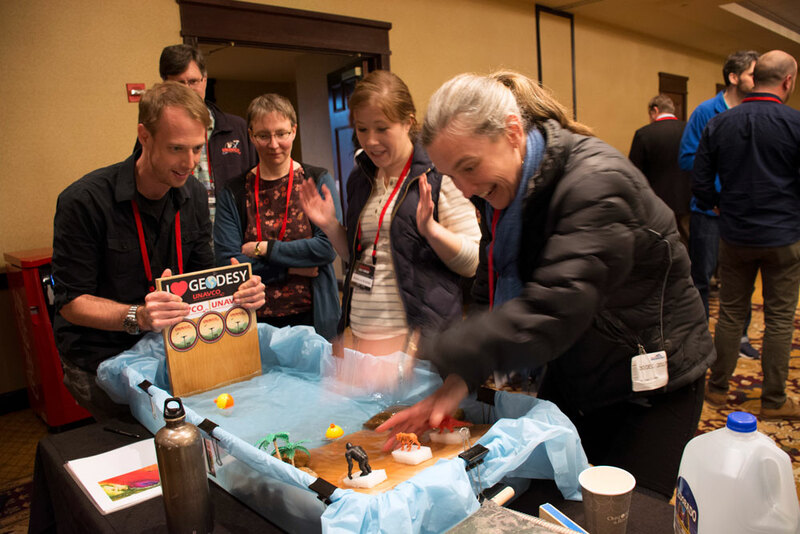 The UNAVCO Science Workshop provides an opportunity for the UNAVCO community to share their latest science, UNAVCO staff to receive input from the scientific community, and for staff to update the scientific community on available resources. 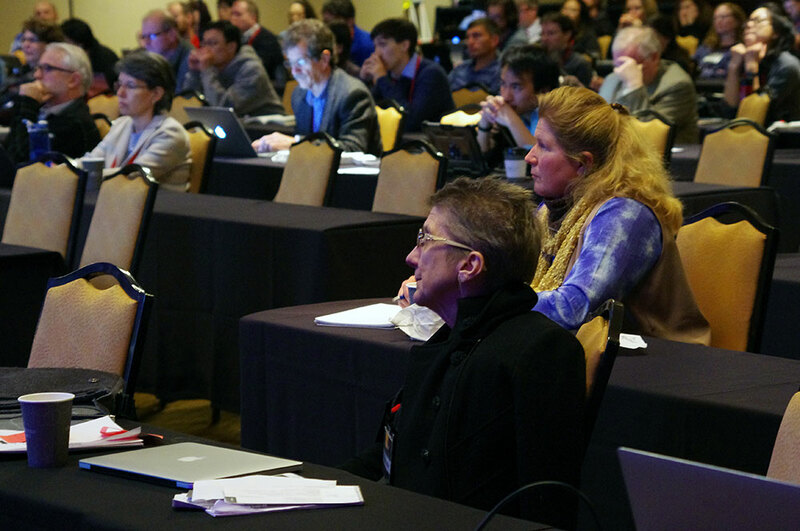 Over 100 university researchers gathered along with federal agency representatives, private industry, and facility staff. 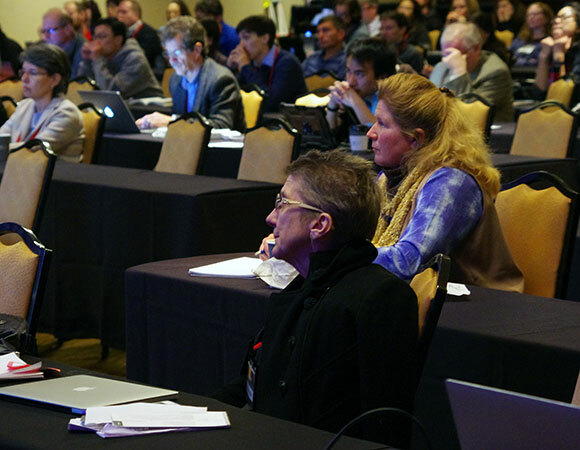 Five plenary sessions provided overviews of the latest advances in sea level and cryosphere, troposphere and ionosphere, volcanoes, subduction zones, and plate tectonics. 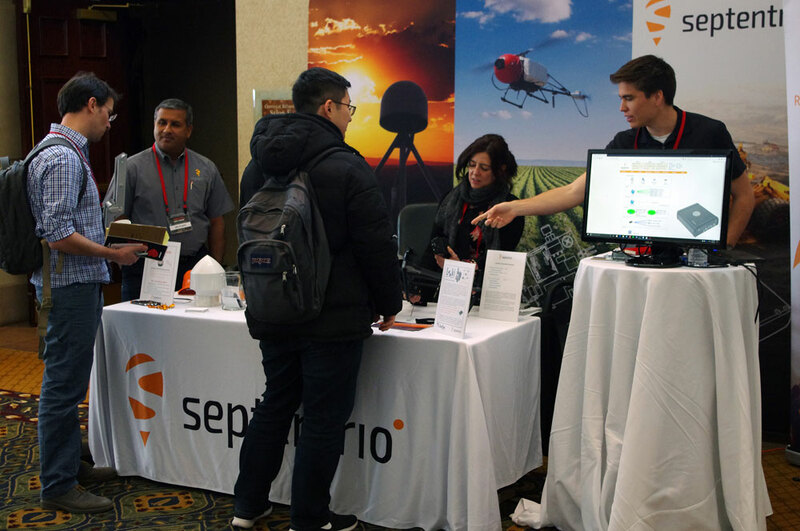 For the first time, break out sessions were focused on the technical aspects and scientific applications of high resolution topography and geodetic imaging, real-time GPS for real-time science, high resolution surface change and InSAR, and seafloor geodesy. 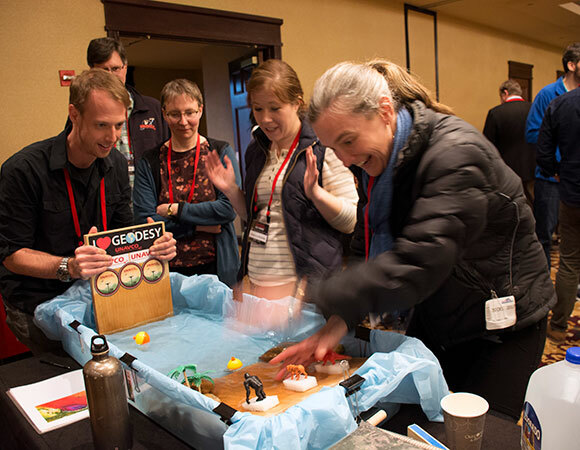 A keynote presentation by Dr. Thorne Lay, University of California, Santa Cruz, provided insight into the rich science that can be conducted with multiple data and methods from geodesy and seismology. Formal poster viewing included 77 posters and the traditional Ignite! 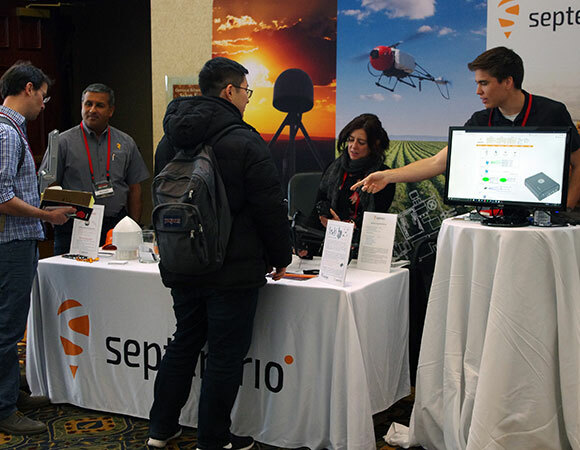 UNAVCO session was sponsored by Septentrio and featured invited speakers on the theme: Our Science and Its Impact: Value of Our Research Endeavors.